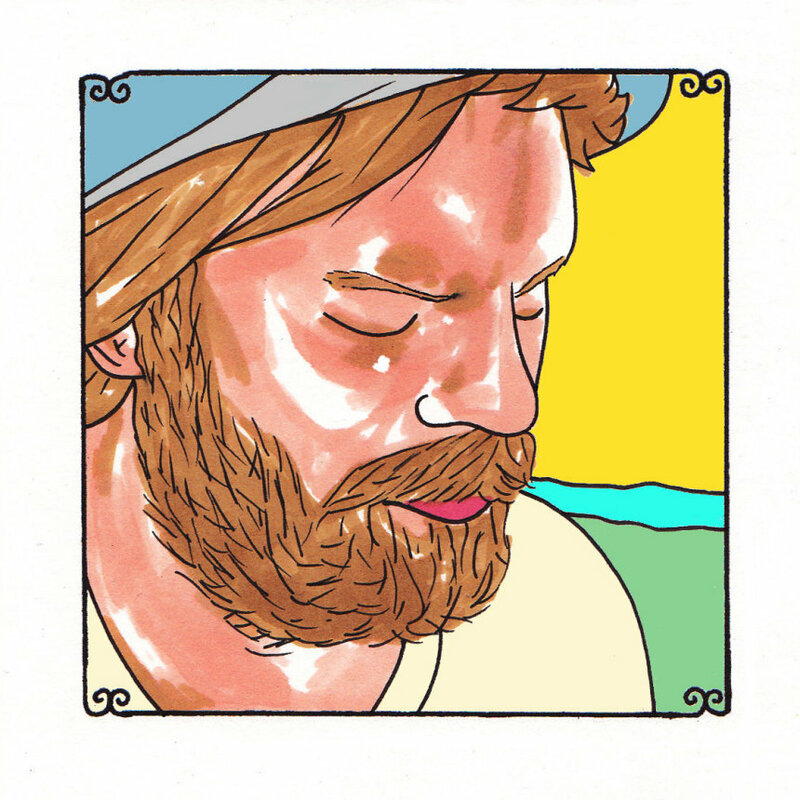 Neil Halstead knows what all of the different ways are to feel comfortably bummed. He's studied them and has made it part of his songwriting expertise to get as intimate with those variables and conflictions that lead to a dynamic that just lets the blemishes and the disappointments play a part in the decoration of a space, to offer their own specific tastes as integral pieces of the ensemble, like the legs that keep a table level enough to host the gravy train and a pitcher of water or a pot of coffee. He lets his music take its shape sometimes through the advice of a chemical haze and the visions that begin their wavy ascents to the eyes, when there's nothing to see in front of them but a hallucinogenic rambling, a smear of frozen darkness suddenly waking up and getting loopy and demented. This is when Halstead brings his theory of night rabbits into his songs. Where these translucent night rabbits take us is over a terrain that has no sound of its own to interfere with his thoughts and motivations, just an open canvas that's been primed, ready to take on the oils and let them be moved around like undulations and vocal rivers. Halstead, best known for his work with Mojave 3, is a writer who takes to heartbreak like a frozen man takes to a warm shower, bowing his head forward and just standing there, the stillness allowing the water to worm down, over all of the contours and detours, working faster in concentration. There's little movement, just the sensation that the worst of the coldness might finally have passed by. Though there's really never any way to know this and even if it's true for this brief instant, just as everyone in the cold states finds out come the end of the autumn - those forgotten memories of the brash harshness of the winter months can be disastrous. They're always plotting to return and we're always knocked back onto our backsides. No cold is erased cold. It's a warm cold that Halstead lets us shiver with and then lets us snuggle with it - giving it the feeling that it's actually part of the real sun, not just the sun colliding with the ice. He sings, "Those ghosts in your eyes, they cry when you smile," and that likely has to do with ancestry and those family members and friends supposedly peering down upon the protagonist and enjoying immensely the unabashed joy coming from seeing happiness in their loved one, but it's a thought that's given a melancholy coating - as if to say that there's nothing all that completely happy in it as those "ghosts" aren't there to share these moments with them any longer. It's depressing and reassuring, uplifting in a sense that they're not missing totally, these loved ones. From afar, most beauty and warmth can be traced and acknowledged as legitimately material and Halstead steps us back in the frame to just feel and stretch and do it all blindly and trustingly, while keeping our senses at such a blissfully intimate closeness. It's very hard to describe how this distance equals nearness, but it does when Halstead sings in his touchingly, feathery way.